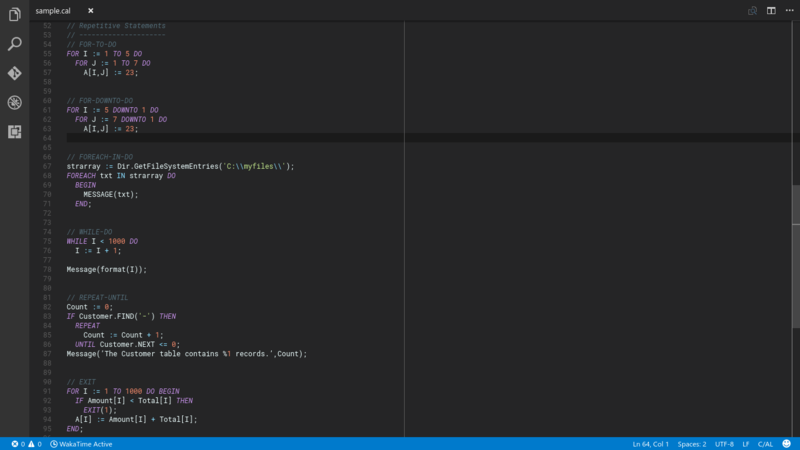 Visual Studio Code>Programming Languages>Dynamics NAV C/ALNew to Visual Studio Code? Get it now. The first feature that I'm developing is the syntaxhighlight. some other features are planned but are very tangled in my mind. I will put a TODO list for all those features. All resources developed by me in this repository is released under the MIT license. Resource with its respective licences are protectect by them. If you find copyright protected content or without it respective credits, please let us know to give the respective credits and to put the things in order according to laws.